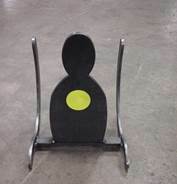 Randolph Machine is now offering multiple targets for your shooting needs. Please use the Contact page to order or ask questions. the shooter to constantly adjust target acquisition. Is approximately 9" wide by 8" tall, as standing on its' three legs. Comes with 8 hi-visibility 2" diameter target circles pre-placed. Target circles can be purchased separately and replaced. Rockin' Bobber: Target pin is made from 1/4" Abrasive Resistant plate. Target stands about 11" tall and is 8.5" wide at the rockers (Target Pin is about 10" tall by 5.5" wide.) Platform and rockers are cut from standard plate steel. Comes with a replaceable 2" diameter hi-visibility target circle. Silhoutte Target: Target is made from 1/2" Abrasive Resistant plate. Approximately 1' wide by 2' tall. Designed to be "hung, rung and swung" by most calibers, including rifles at reasonable distances. 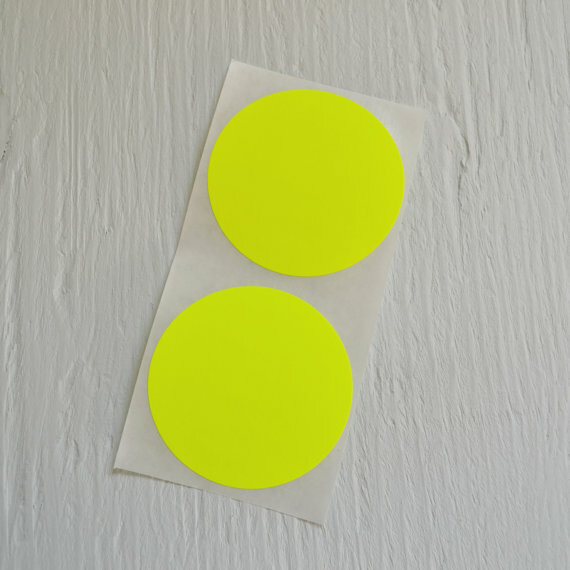 Target Circles: Hi-visibility, self-adhesive 2 inch circles. Sold 24 circles per order.